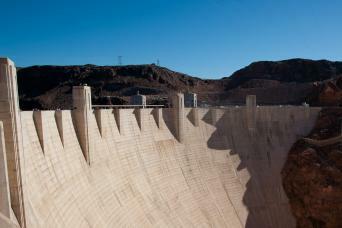 Visit the Hoover Dam on this day tour from Las Vegas and take a government guided VIP tour inside of the dam. See the Cacti Botanic Gardens and more! Enjoy a fully guided sightseeing tour to the South Rim of the Grand Canyon from Las Vegas plus a 30-minute helicopter ride for unforgettable views! 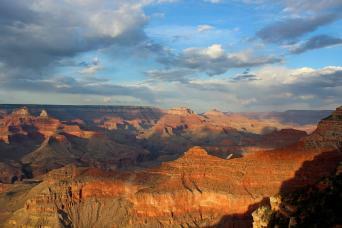 Visit the South Rim of the Grand Canyon on this fully guided tour from Las Vegas with a stop in Kingman, AZ. IMAX tickets included! 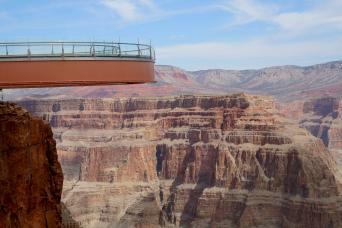 See everything the West Rim of the Grand Canyon has to offer including a helicopter and boat ride, transportation by luxury limo van, and the Skywalk! Enjoy a helicopter ride to view the Hoover Dam and Lake Mead from above on this day trip from Las Vegas. Don't forget about the Bypass Bridge, either! Experience a night away from the strip and visit Laughlin on this inexpensive tour from Las Vegas. Includes a $5 food voucher, too! Have a champagne toast along the Las Vegas Strip as you see the Freemont Experience and a Mirage Volcano Show for an unforgettable night!